Are you interested in your family history and want to get whatever records that you can about your ancestors? Well, you maybe wondering whether this site is for you. This Archives.com Reviews post will explore what the site has to offer and also what other people think of it. * Actually I was tempted to give the site 1/5. Before I do start to review this site I do want to say something. There is certainly a lot of potential for this website. Unfortunately though there has been quite some negative feedback for them as well. If you want to skip to the end and see what I really think about Archives then please by all means. About Archives.com and Its Aim! 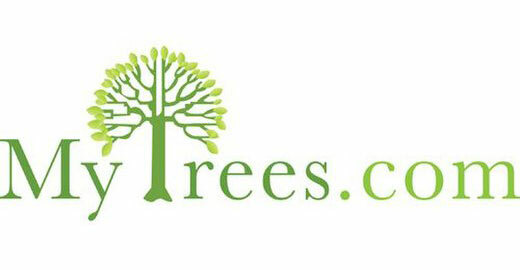 This genealogy search website has been helping countless people for nearly 10 years to trace their family history. First appearing online in July 2009 the site makes it easy for anyone to find their U.S. or U.K. roots. Archive’s aim is to make your research on their site both a quick and simple process. It is a site designed not only for people beginning their genealogy journey but also anyone who has been tracing their ancestry for a while. Within their collection they have rare and interesting citations as well as billions of genealogical records. I’ll discuss later in the next section what you can find within their databases. In order for you to find what your looking for the search tools installed on the website are incredibly easy to use. However, what you don’t see is the powerful technology that is used behind the site that bring the results that you are after. They do possess a very large collection of records as I have just mentioned. The reason for this is that they have partnered with not only FamilySearch, (the world’s largest free genealogy site), but also the National Archives in the U.S. as well. Also, in August 2012 they even teamed up with Ancestry. So, they definitely know what they’re doing if they are rubbing shoulders with the best in the business. 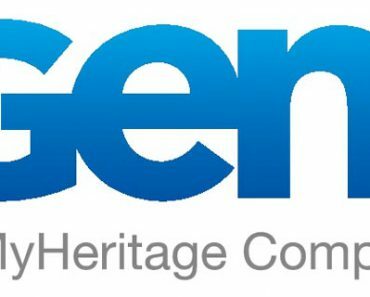 The fact that this genealogy search website has within their collection billions of records that you can use for your family history research is very appealing. With this much knowledge at your fingertips it is extremely tempting for anyone to sign up to the site and get the records that you are after. Even though Archives 7.4 billion unique records falls a little shy of Ancestry’s 8 billion it’s still impressive what you can find on the site and how they can help you. OK, OK, I keep saying how many records that they have and how they can help you a great deal. But what records can you find? Actually these collections are only scratching the surface as they many, many more within their databases. Not only do they have these popular collections for your to access but also vital records and other documents for every U.S. state as well. And on top of that there are newspapers, immigration documents, yearbooks and adoption records as well. It is great that this site does offer so many records for anyone wanting to trace either their American or British ancestry. Unfortunately if you’re Canadian or Australian then you are out of luck finding your heritage, (unless of course your ancestors did come from the States or Britain). Whether this will change in the future I am not certain. But it is definitely worth checking this site later in the future to see if they do have your respective country’s records. For the time being you may want to just check out Ancestry as they have the world’s largest collection of records. And with that said there is a better chance of you finding your ancestors with this site. Or if you are starting on your family history journey and do not want to spend your money then the FamilySearch website is well worth a visit. As with every other genealogy site these days you can also create and build your family tree at Archives. This tree comes in the form of a pedigree chart. To begin the process of building your own tree you just enter what information that you know. So you will enter your name and details, followed by information for your parents and grandparents. Try to fill in everything that you do know. And don’t worry if you cannot fill in anything as this is what this site is designed for, to help you discover your ancestry. What you don’t know Archives will fill in the information with records by using their genealogy search engine. I will discuss more about this in the next section. The search feature is extremely simple and easy to use. In order to start tracing your roots all you need to do is enter your ancestor’s first name and last name. Their last name is required, yet the first name is optional. But it will reduce the number of search results that you will receive if you enter this piece of information. To limit your results even more and find what you are looking for you can enter more information. You can do this by clicking on ‘More options‘. When you do this it will provide you with two more boxes where you can enter the birth year and the death year for your ancestor. There is also tolerance boxes where you can select a year either side of the year that you entered, i.e. 0, 1, 2, 5, 10 years. This is an extremely powerful aid for you if either you are not sure of the year of birth or death, or maybe it could have been recorded or transcribed incorrectly. Then after you have filled all that you know about your ancestor you just click on the ‘Find ancestors‘ button and see what results come up. It couldn’t be more easier! As I have just mentioned the more information that you provide then the better the search results will be, i.e. there will be a greater chance of finding your ancestor within the records. The search feature categorizes the results based on whether there is an accompanying image attached. This means that if there is an image for a record then these will be listed at the top of your search results followed by records which do not. The results are even marked to show you which information that you will find within the record. This way you can clearly see relevant information at a glance. You even have the option to improve image quality as well as rotating an image if you wish.You may need to do this last point if for example the document has been scanned and uploaded on its side. Even though this site does have billions of records available to you, (as I have said a number of times already), you may find that you cannot access a particular record that you are after. Sometimes you may find a record, but it is not stored within the collection at Archives. For this reason you may need to use the external link provided in order to retrieve the record that you are after. When you do find a record of interest to you then you can save the record to your family tree that you have begun to build on the site. And if Archives find a record using its search engine that it thinks may interest you then a plus sign will appear next to your ancestor’s name. This helpful hint is similar to what you can expect from either the Ancestry and FindMyPast websites that you maybe familiar with. It’s good that Archives has taken this initiative and added it to their site as well. A great little initiative that I liked is that with each search result you can highlight 3 options for it. Found it – Have the option to save record to your family tree. Maybe – You can save the record to your Saved Records page which you can view later. Not it – Have the record removed from future searches. The more information that you enter and the more that your family tree grows then the more hints that will come your way. However, I have read a few reviews where people have complained to receive erroneous records that do not match their search criteria. More on this later. As you may, (or may not), expect websites will offer these days a free trial. This will give you an opportunity to check out what the site has to offer and also to give you some user experience on using the site and its interface. It’s a great way for you to get a feel of the site and check whether they have the information that you are after. You obviously don’t want to part with your money to a site that won’t help you with your genealogy research. That’s just throwing your money away and just silly. 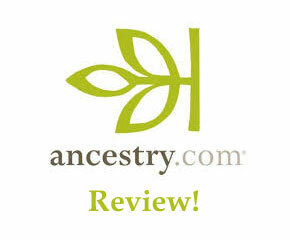 Now then with that said Archives, as with other popular genealogy search websites, offer a 14-day free trial. This trial period will give you FREE access to the 7.4 billion records within their collection with the ability to use their search tool that I discussed above. As I have pointed out with other such free trials you will need to enter your credit card details on registering with the site. The reason for this is that once the 14 days has lapsed then you will get charged $9.99 for the following months membership. This amount is charged each month until of course you cancel your membership. If you do want to cancel then Archives does suggest for you to cancel at least two days prior to your renewal date. You may think that this is a sneaky tactic. And I can quite see how you would think that. I therefore thought that I would point it out to you in case you were not aware. You will need to pay $9.99 per month in order to access the many records that you will find within the collections at Archives. But there are other benefits that you can enjoy as a member. Share your family tree with others. Find vital records – birth, marriage, divorce, death and burial. Find every record you are after, which means no stepping out your door. Soundex and Double Metaphone databases. Search female ancestors by maiden or married name, within one search. Verify each family tree connection. Save records, add notes, review past searches and browse personal collection. View actual scans and images of records, and print them too! No downloads, software, plugins or installation required. Great for beginners or the seasoned genealogist. Once you have signed up though you do have an option to try Newspapers.com for free for 7 days. After that period you will be charged $4.16 per month. This I feel though is a let down as I was expecting this to be included within the original fee and not an add on. There is also an additional $24.95 charged if you decide to request a county records search. This search will allow you to request official court records. You may think that this is quite expensive but it does cover the standard court access fees. ❌ Only available within U.S. and U.K.
From this review so far I have shown you what to expect from this site and also given my personal opinion as well. But I don’t want you to leave this site without letting you know what others think of Archives. After checking out the site myself and being quite impressed with it I was quite dismayed as to what I read at Sitejabber. Of the 115 people who reviewed the site an astonishing 108 of them gave it only 1 star. So what were they all complaining about? Either people have tried to cancel during the free trial or after this period has ended. Unfortunately for them they have ran into difficulty in cancelling their subscription. And because of this Archives have been taking out $9.99 each month. If you are one of these people then you could try to email or phone the company. However, if you are reading this then you have probably tried this without much luck. The only other solution that I can suggest is to cancel your credit card. Worthless and a rip off! Another significant complaint has to be the price that Archives charge per month. Many people felt that this was too high. The $9.99 a month did not justify the fact that people could not find what they were looking for. One astounding complaint that I read showed that someone received a different record than one that they ordered. This could be just a one off but if it isn’t then I just wonder what else has been delivered to the wrong people. It is great that Archives does contain so many useful records that you can use for your genealogy research. They cover the vital records that can help you fill in the gaps in your knowledge of your ancestors. What with the birth, marriage, death and divorce records as well these are key facts that you can plug into your family tree. Census records can also help you a great deal as well. I have learned by exploring my family tree just how powerful census records can be. You can find key pieces of information about your ancestors, as well as having the opportunity to back track up your tree. Even though this site does sound impressive they have certainly received a lot of complaints. Too many compared to other companies in my opinion. What with people complaining that they cannot cancel their subscription, and also the site is overpriced it is very disappointing. The other disappointment for me, and for others, is that there are no records from countries outside of the U.S. or the U.K. Whether this will change in the future I am not certain. And finally I felt it quite uneasy to see a page on their site entitled, “Why Archives Is Not A Scam“. Now I am not saying whether they are or they aren’t but it does make you question why would they have this on their site? Probably to settle the rumors of whether they are just taking your money. Unfortunately I do not recommend Archives. It does have billions of records but the complaints received don’t outweigh the benefits for me. I hope you enjoyed this post giving my review and other people’s Archives.com reviews. If you have any questions or comments then please leave a comment below. Thanks for the research and honest comments. Thanks for the compliment Becky. It’s a shame, too. It sounds like a really good service. But I also know firsthand what it’s like to sign up to a subscription service that’s almost impossible to drop. I understand organizations not wanting it to be super easy to unsubscribe, but I can’t imagine getting an extra $10 while people figure out how to unsubscribe being worth all the negative reviews you saw. Thanks Phil, much appreciate the compliment. Good to know I’m pleasing people with my site and posts. Yes it is a shame. It seems that every service like this will require your credit card details. Whether it’s to make money from people who forget to cancel their subscription I don’t know. But it is one way to get a list of people that they can market to. Yeah it is shame about Archives as it sounds like it could really help anyone trace their family history. In my view Ancestry is a better option as there are a bit records available, have a very large communities and are very reliable and helpful.